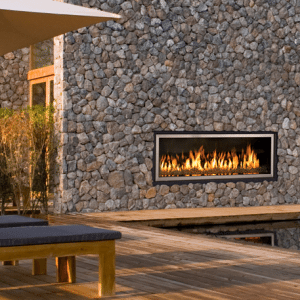 To know the innovative quality of Twin Eagles grills is to understand Dante Cantal, the award-winning engineer and designer behind their marvelous performance. 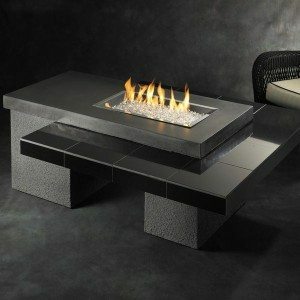 For over thirty years Dante earned his stellar reputation designing and building the finest culinary equipment including commercial cooking equipment and outdoor grills for many of today’s most prestigious brands. Since launching Twin Eagles over a decade ago, Dante and his team have continued to evolve an advanced grilling system that is second to none. The result is Grilling perfected. An integrated internal lighting system illuminates your grilling process. A 3-position warming and cooking rack is multiple use and easily positioned out of the way when it is not needed. Internal zone baffles focus heat uniformly in every section of the grill surface. Recessed bezels on the control knobs are illuminated and provide subtle temperature differentials from sizzle to smoke. Twin Eagles focuses on clean European design and quality manufacturing. 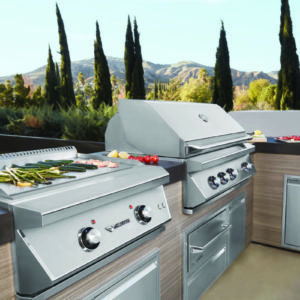 Born from Dante’s years of grill design and manufacturing experience these grills are sleek, refined, and ready for your cooking style. Twin Eagles incorporates high-powered conventions and sear burners, rotisseries rated for 100 lbs, hexagonal grates for more robust sear marks and ceramic briquette trays that allow for direct heat while creating an even distribution of indirect heat. Grilling accessories include everything from side burners to salamanders, ice-makers to wok cookers. U.S. made and equipped with reliable hot-surface ignition Twin Eagles grill will enhance your meals and your outdoor entertaining experience.